Absolutely lovely! Perfect picnic food in my mind though your photos make it too pretty to eat. 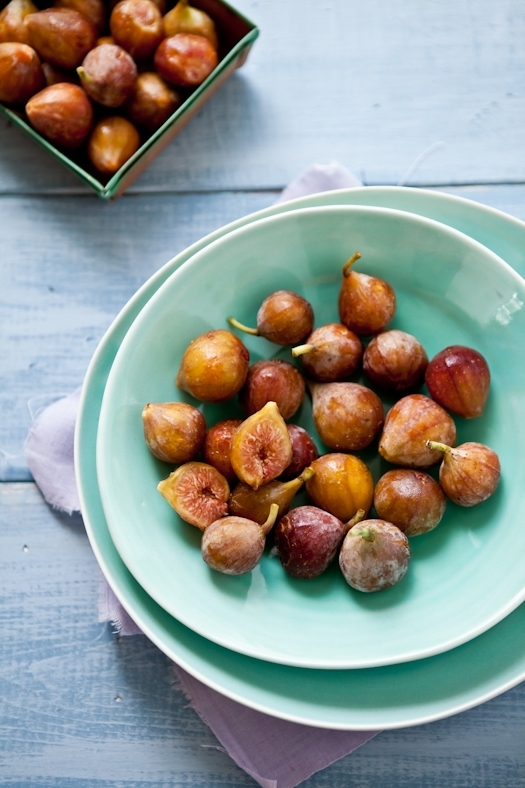 Will try the grain and fig combo as soon as our figs ripen this fall. Enjoy the road trip! 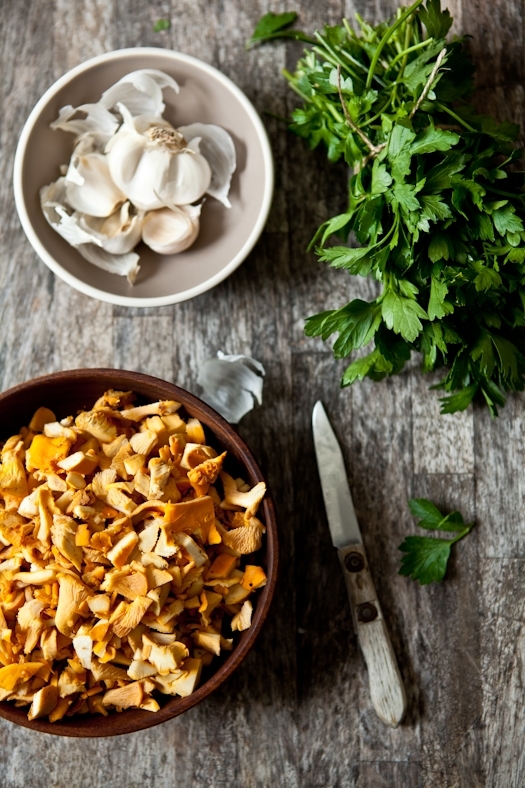 The chantarelle recipe looks particularly delicious! Such beautiful photos! 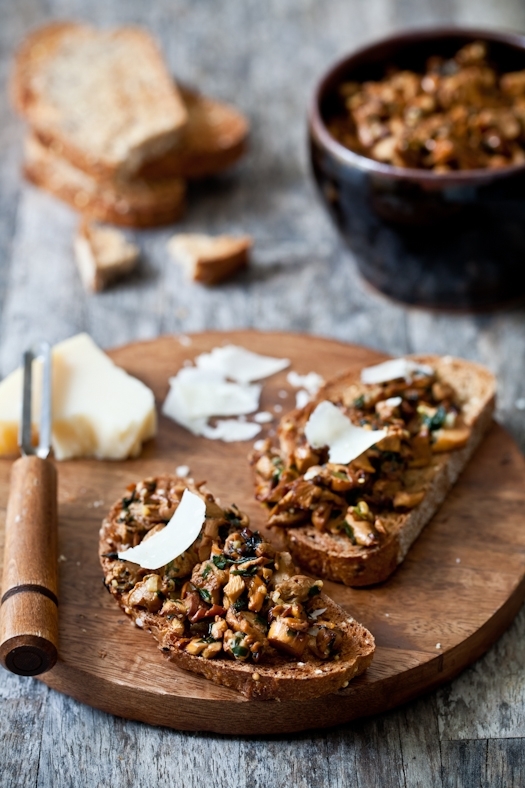 but that chanterelles tartine stole my heart. 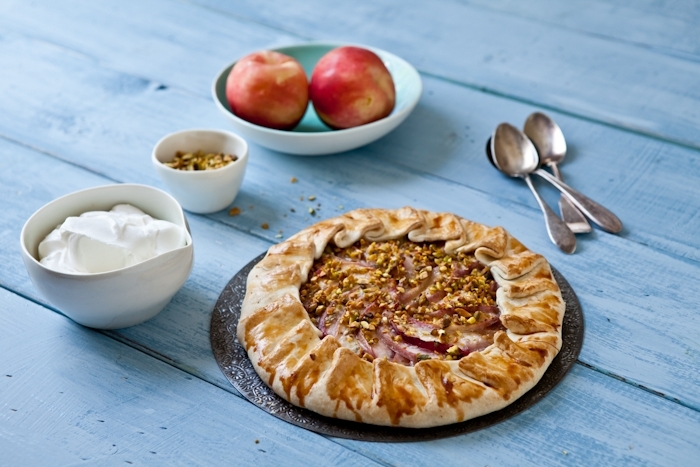 That galette is just beautiful! It looks wonderful. I hope you have a good trip and amazing weekend on the ranch. I'm sure it will be a complete blast! Road trips are adventurous and fun, especially if you take them with your guy! It sounds like you had the most wonderful time on the road Helene. All your recipes look amazing. That galette though stole my heart. I love white peaches. I'm very happy with all these recipes, but the peach tart and the fig salad are the winners for me. I have some quinoa left and I think this will be on the menu soon. I'll probably add some honey too it too, since I happen to have a very sweet tooth. Thank you and have a wonderful trip/weekend! Everything's so lovely here in your blog! white nectarines are some of my FAVE fruits and they are only in season such a short time...I love how you used them in this recipe. Also two faves of mine. I have been obsessed with galettes lately and am excited to try this one. Thanks for sharing! I completely echo your sentiments about a road trip. It seems to be a time when one can get beyond the mundane demands of the household and talk about things that always linger on the horizon of the day's ordinary. You elevate road trip food past the next level! Can totally imagine stopping at a city park in Small Town USA to enjoy your beautiful fare under enormous shade trees. Have a fabulous weekend! oooh, the fig dish looks fantastic, and your photography, as always, has made me pretty hungry. We're so lucky in the summer with the bounty of lovely food! Amazing recipes! I want to try them all! Have a great time with Ree! I can't wait to hear about the experience! Amazing! Your photos are - as always - stunning! I would be eating the galette for breakfast, too! The chantrelle recipe looks divine. Love the variety of this post--it's summer all in one spot. Gorg. I want to go on a picnic with you! Fantastic recipes, I want to try them all. Stunning visuals. Eye candy with my morning coffee. 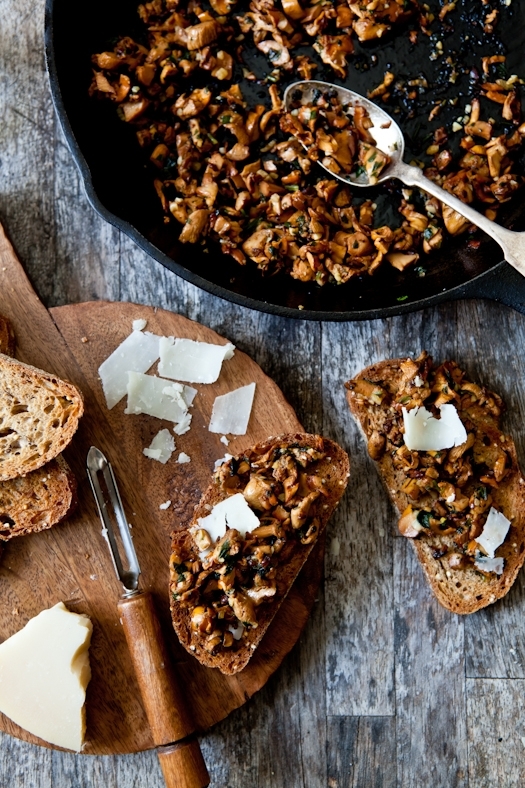 That chanterelle sauté would right up my alley. I just posted about figs today. You're right, the savoy/sweet combination works well for figs. Cannot wait to see your stories from Ree's ranch! I'm loving all four of these recipes! 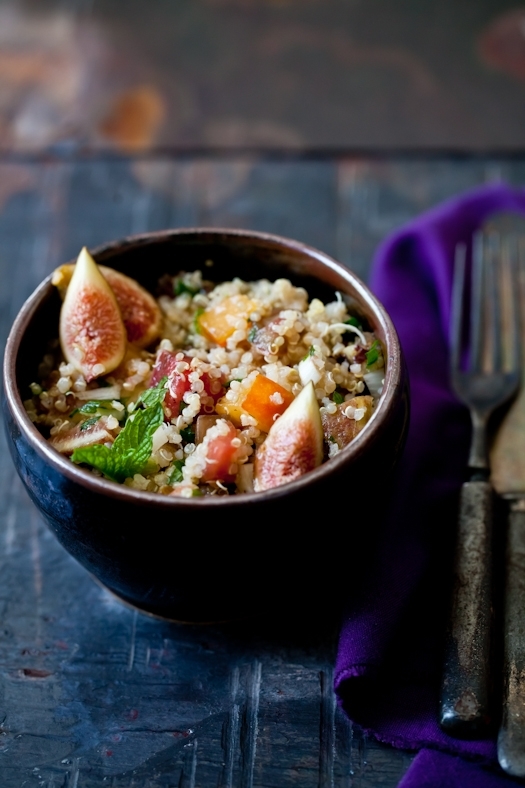 I've never thought of putting figs in a tabouleh salad. I've never had fresh figs, they look wonderful! Lovely! I would love to dig in to a pie right now. 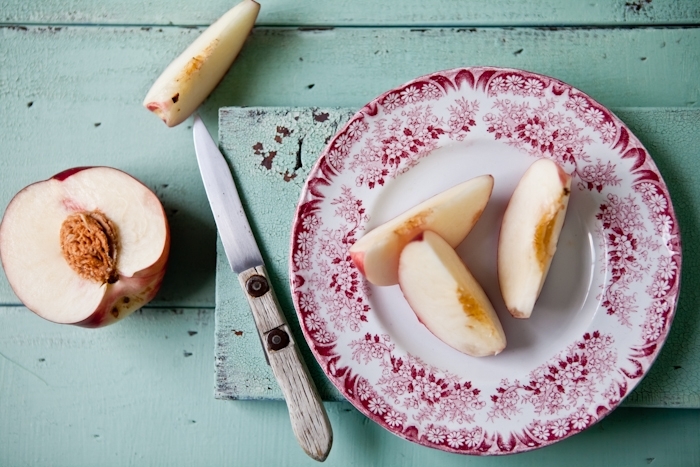 I love white nectarines! However I would need to delay this baking project until this heat wave in Ontario goes. I have a question, how different the texture will be for the pate brisee if i use all all purpose flour? I have used rice flour for baking before but have no clue about millet and sorghum flour. Wow...just, wow. Your recipes and photos inspire me everyday. I am so glad to have that inspiration! I'm confused: add some colors? Are you suggesting you tint the milk (in this case, it looks like a carmel color) to the galette? Looks delicious and I will be using my quinoa for your recipe (first time use)! 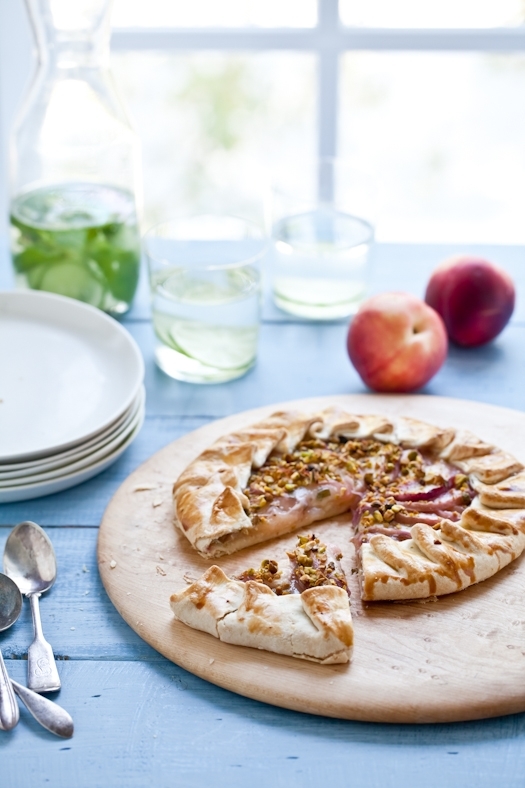 The galette will be on my list to take to a pétanque tournement next month! Thanks for all your fabulous photos, ideas and recipes! Mary: nope, just suggesting to brush with an egg wash or some milk to add a golden color to the top crust as it bakes otherwise it remains quite pale. Cherry: it will be like a normal pastry crust but it won't be gluten free anymore. I was just whining to my 10 year old daughter that I didn't win the weekend at the Ranch this morning (ha ha) and she told me "don't think about it mommy and you won't feel sad" ..good advise from a 10 year old... anyway... A couple hours later now I googled "gluten free apricot pie/tart" ... and here I am on your blog... *sniff* ... now I will go and make your tart crust and fill it with apricots... =) Enjoy the wonderful road trip to the Ranch and back! Blessings! Each of your recipes are such an inspiration for me! I just received your book from Amazon (I live n Italy and it took a little bit), and I already love it. Each piece of advice you give is soo precious. I have some problems in my photography I need to solve, and I am sure that following your suggestions and tips I am going to improve! You give me so much encouragement and motivation to go on and learn. Thank you so much. I just got back from a long road trip, but I may have to plan another one so I can try these lovely recipes! You make my heart sigh with this: words, story and food. Hope the drive is fabulous. We love doing that to ... we head out next Thursday in a 26 ft U-Haul for Michigan. Breeze thru Dallas, we could put you up! What a lovely picnic combination! I adore those tiny tiny figs, we get huge black figs and large green figs here, but I've never seen those little ones except for dried imported ones before. Gorgeous! I love the figs! They look so sweet and yummy. Everything looks SO GOOD, I have to resist licking my computer screen because that would be... awkward. 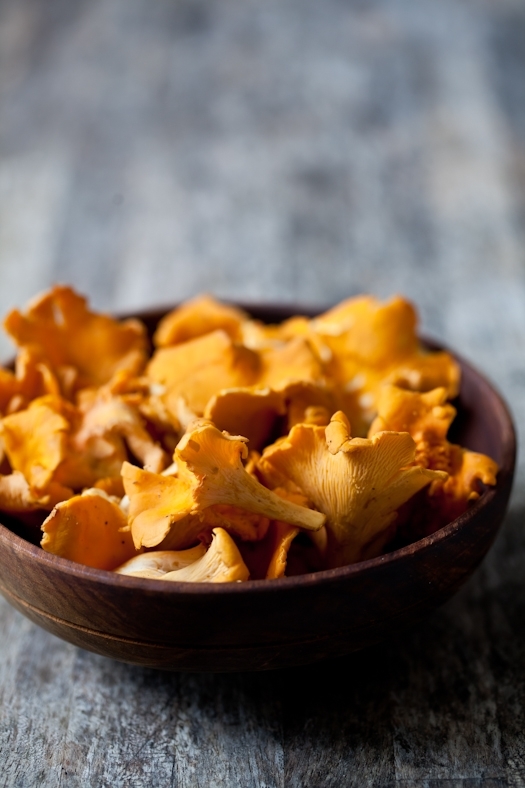 I especially like the chanterelle mushrooms! It all looks wonderful, especially the part about sitting under a tree enjoying leftovers together. I'm a huge fan of figs- they've been tempting me at the market and I think it's time to answer their call. What an elegant looking table there. I really want to try this dish but I'm not a big fan of figs. What other fruits can I substitute for them? 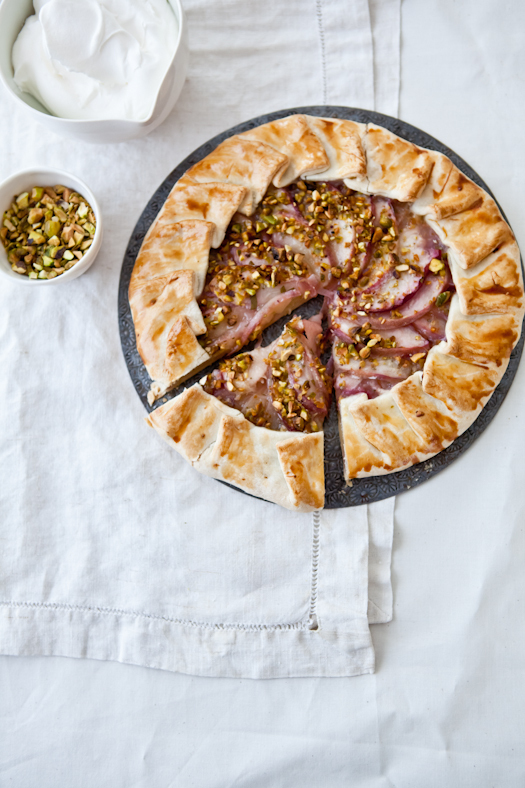 J'aime cette fraîcheur dans les produits et je suis particulièrement fan de la tarte aux figues, pleine de couleurs et de saveurs! Fantastic Post! Love the photos, recipes, memories...as always, refreshing and inspiring! More importantly, I'll sleep from Queensland to Victoria. It's the best way for me to catch up on sleep because I can't stay awake in the car either. Catching up during a long drive sounds great! Though I too have car induced-narcolepsy... I hope you are having an amazing weekend. Everything looks so good. I hope you have fun at the workshop. I wish I was going. Oh how fun!! I saw an instagram fly by yesterday & you had just begun your photo workshop at the ranch. I look forward to hearing more about your journey there & to see the photos. Such a special time for you and Bill to spend together. 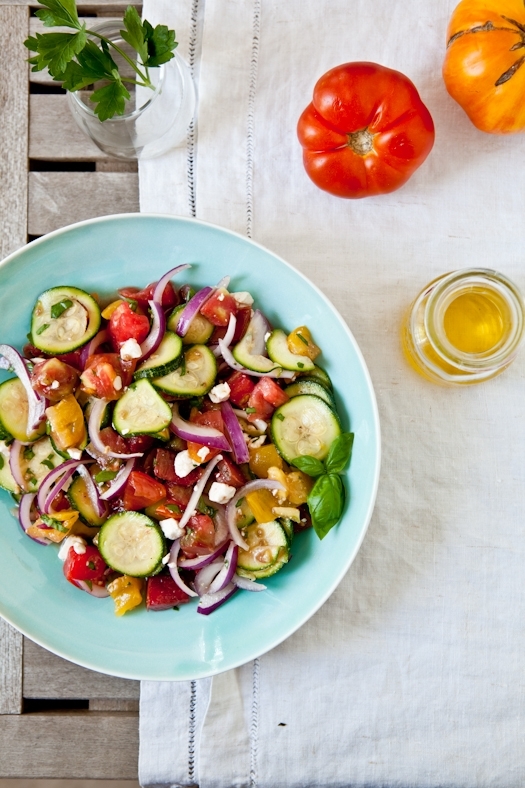 That fig tabouleh and the zuccini salad look definitely tempting! 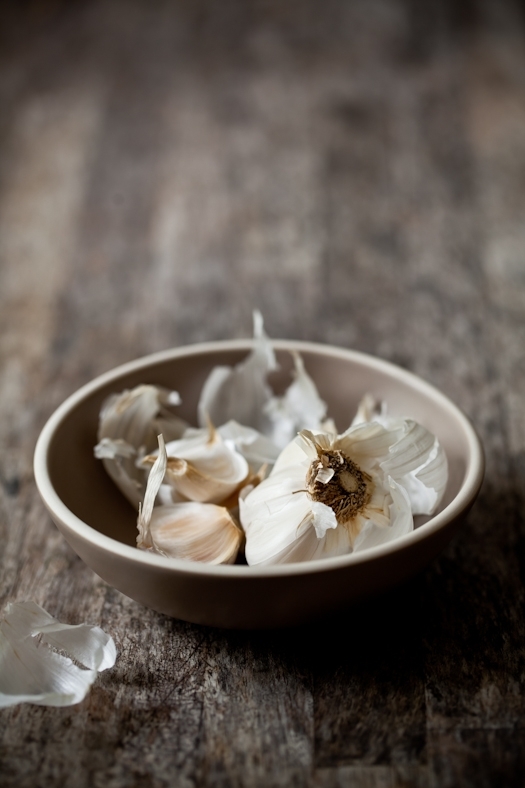 Could you please post what you have sprinkled onto the galette - chopped nuts? I plan to make this...it looks amazing. Thanks! It's amazing what you are able to communicate with your photos. Temptation, taste of home, closeness to nature, the essence of the ingredients. I love the way you take pictures. I am definitely your fan ! What beautiful sentiments about your time together. :) Some of my most cherished bonding with my husband has occurred over road trips. 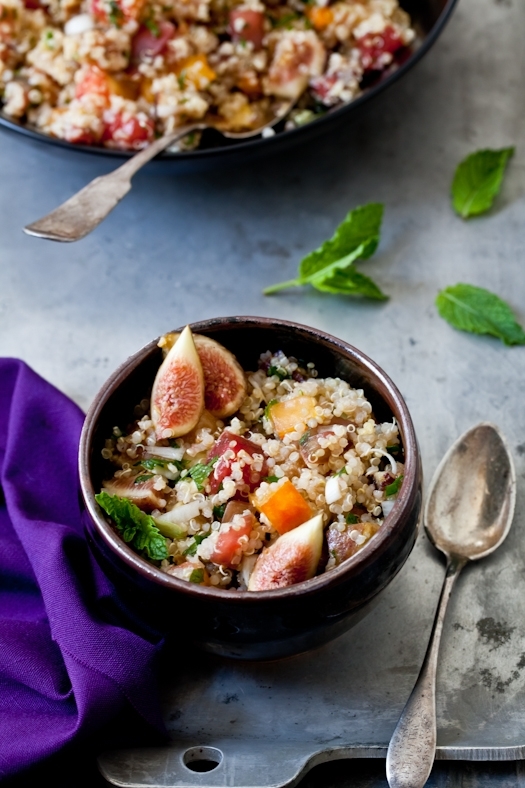 Your fig & tomato quinoa dish is scrumptious. I don't have fresh mint on hand but have plenty of fresh basil from farmer's market, so I used this instead. I love how the honey notes of the figs play with the tartness of the tomatoes -- lovely! A definite keeper. I do feel asleep in cars too. It's like a lullaby, that soft and mellow noise made driving and passing by places and peoples and flowers and clouds. But I always wake up to eat. Especially if there's something delicious as those things you brought. 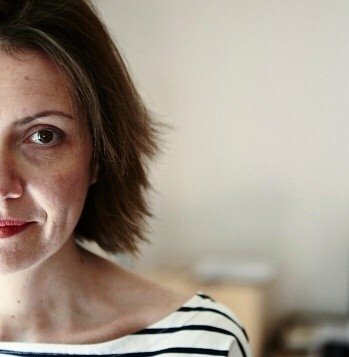 i am ashamed to say, but I have not been to your blog in a while...didn't realize how much I missed it and you. everything you do, you do with your heart and your essence and I am just in awe of your spirit!! I will be back for more!